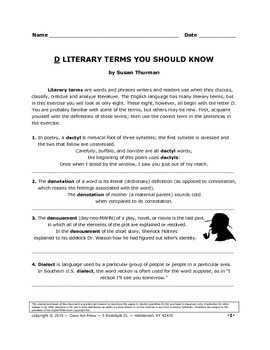 Students become familiar with literary devices in an entertaining way. 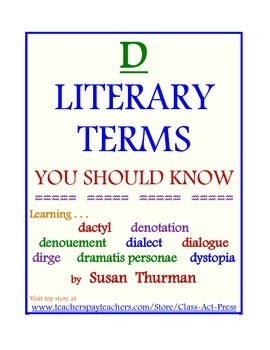 First, students study easy-to-understand definitions and examples of each term. Then they use their knowledge of the terms in an 24-item fill-in-the-blank activity. Also included is a separate answer key. This classroom-tested resource has been used successfully in middle school, high school, and college classes. To learn about new Class Act resources, discounts, and freebies, just follow me. Find my picture at the top right of any page in my store. To the right of the picture is a star with “Follow Me” beside it. Click on the star, and I’ll send you customized updates about this store.